The Carlisle MIN544618 mingle plastic bowl is the perfect solution for outdoor and poolside dining. The durable Tritan material has the look and feel of recycled glass drinkware and will not crack or develop craze lines. The bowls are resistant to staining and clouding that occurs when lipstick and sunscreen are left on any plastic product. The Tritan plastic bowls are dishwasher safe. 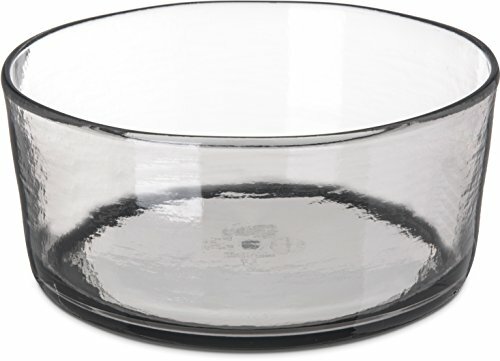 The bowls will withstand temperatures from -40° to 180°F.